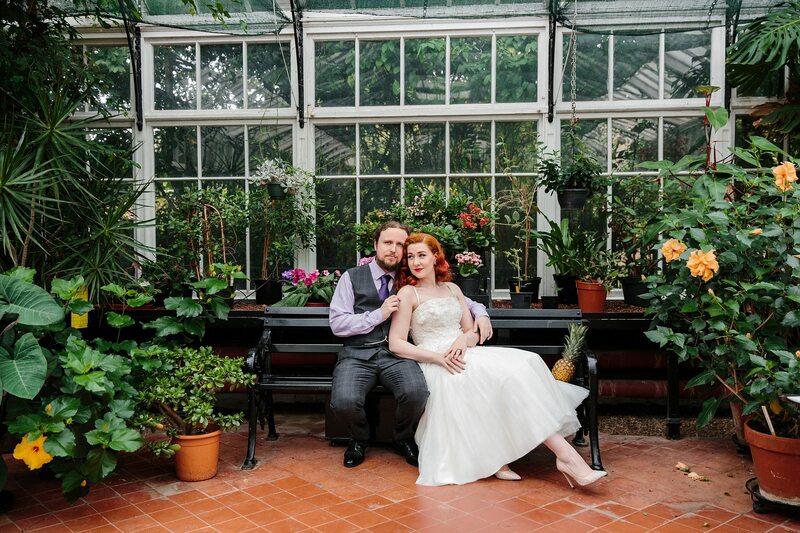 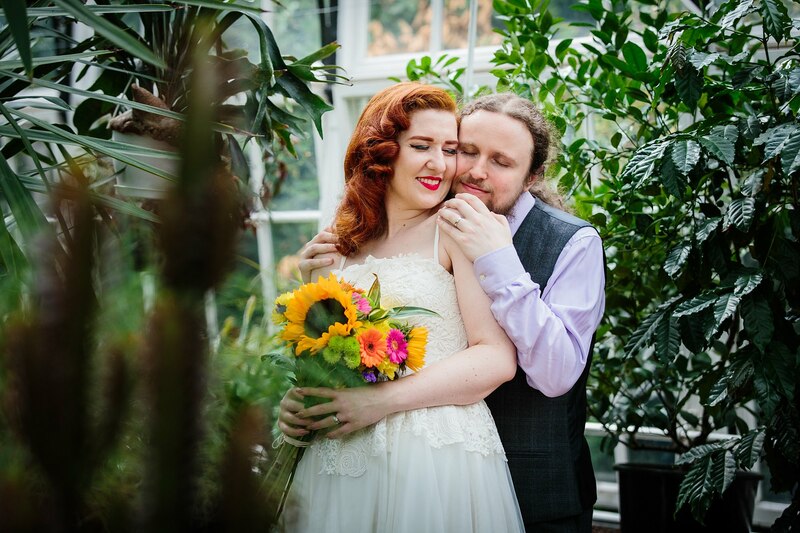 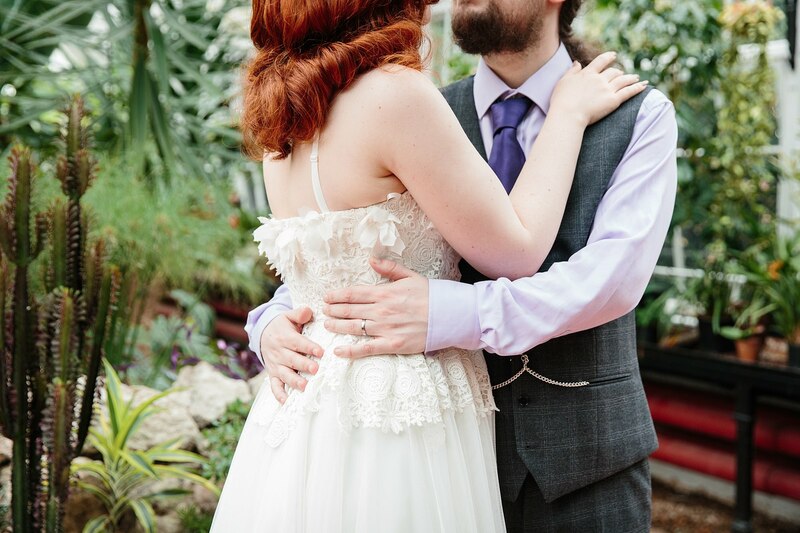 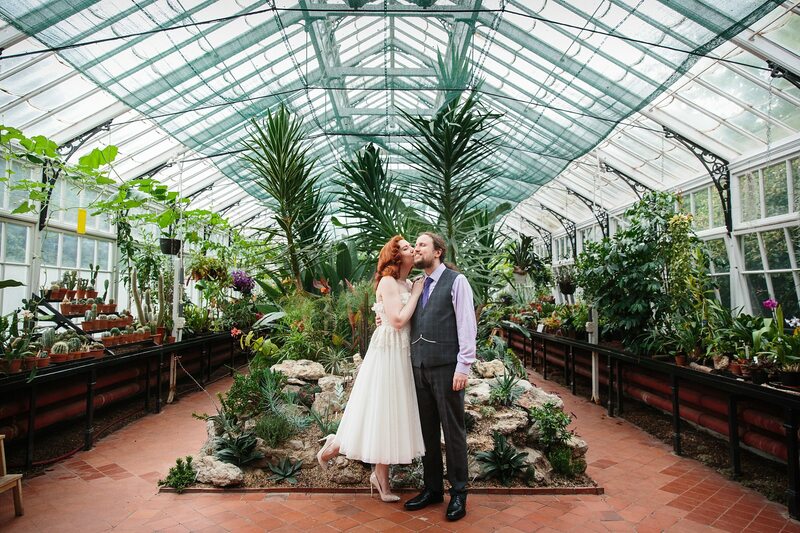 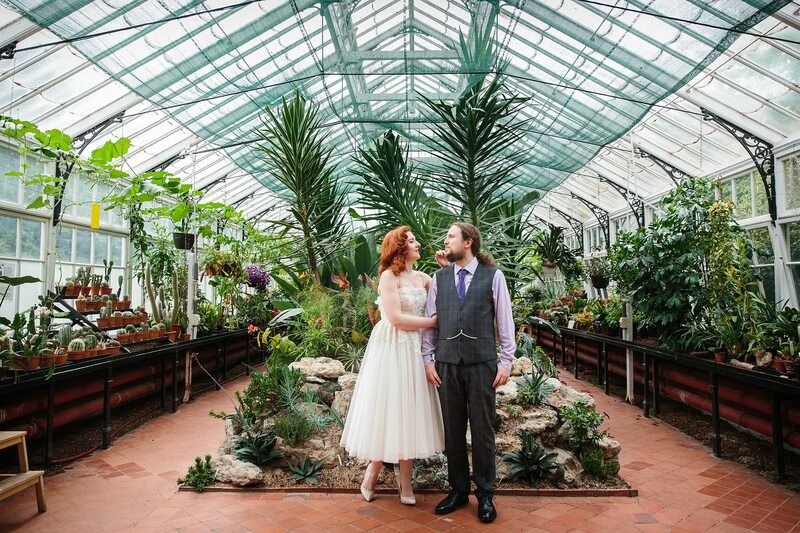 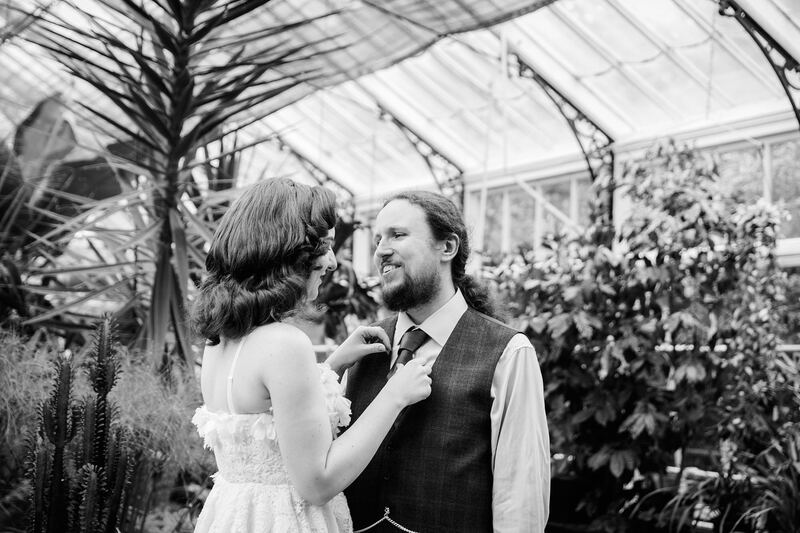 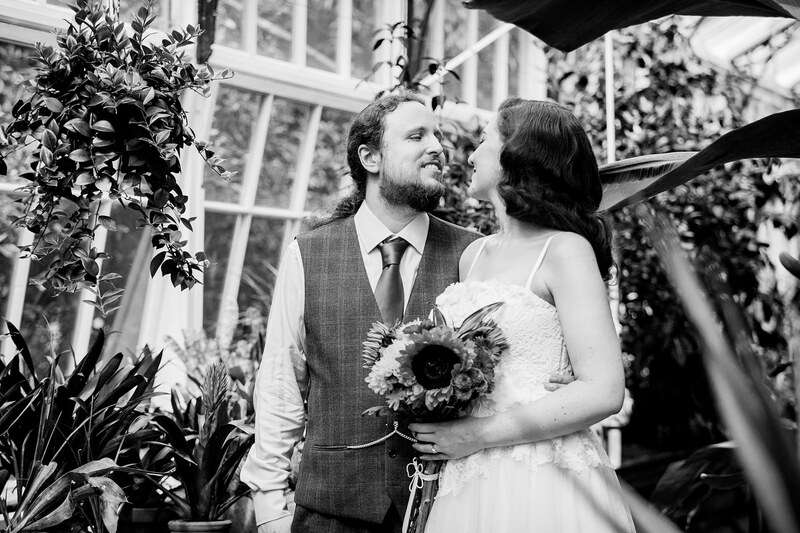 Tropical wedding shoot – Kat and Liam’s post wedding couples session at Broomfield conservatory. 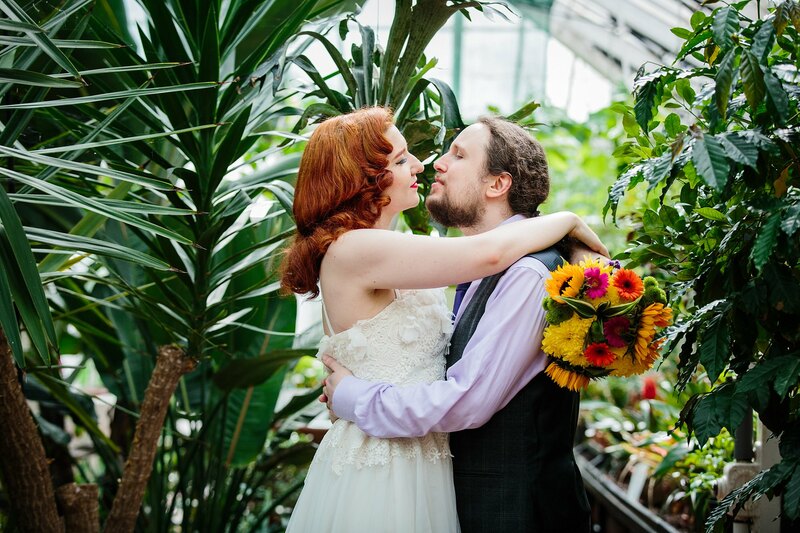 Kat and Liam had a very funky tropical themed wedding (which you can view here), although it unfortunately rained all day. 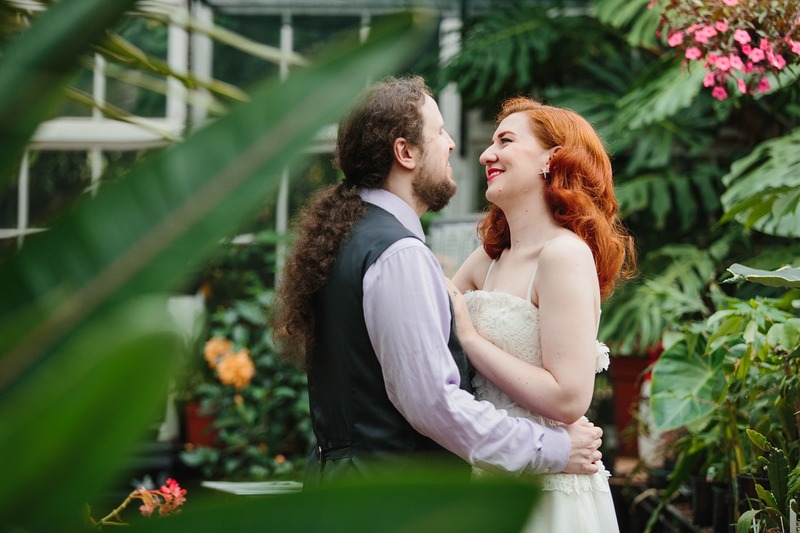 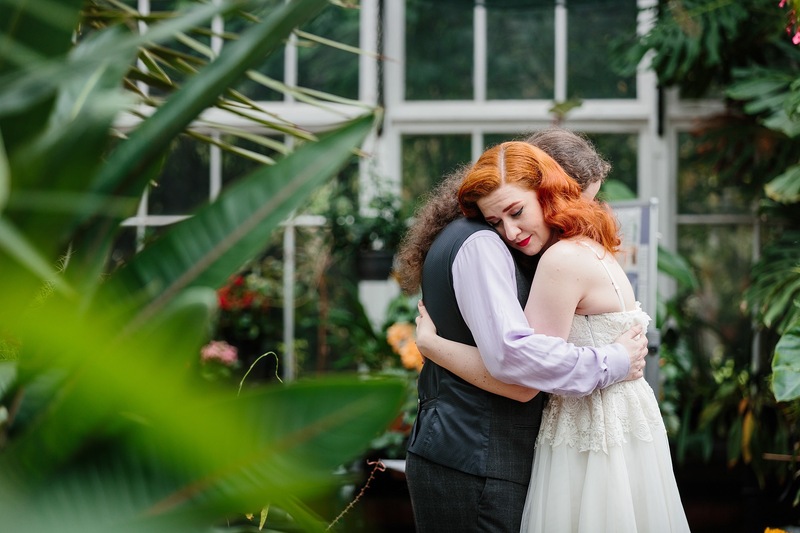 They were absolute troopers and worked the wet setting, but following their wedding I discovered this amazing little conservatory close to where I live, and thought it would be ideal for a post wedding shoot! 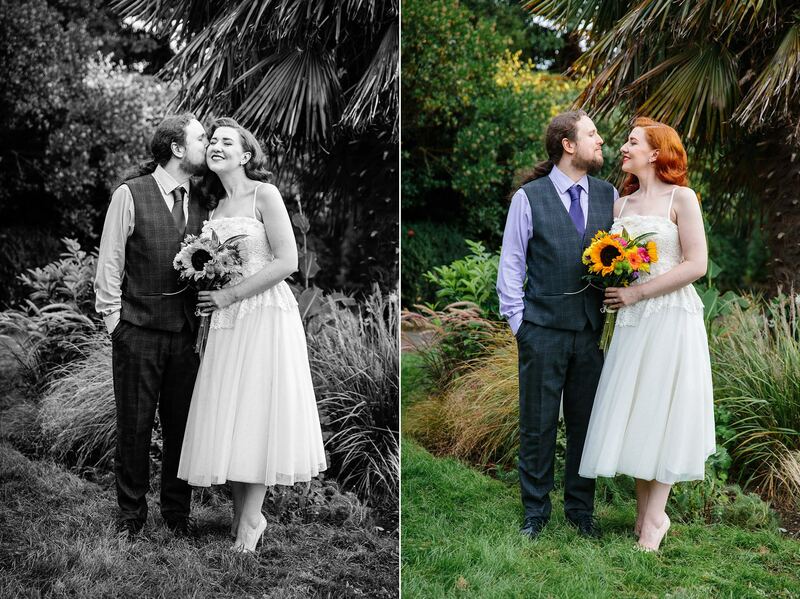 I love post wedding shoots because you can really hang out and relax without working to any time constraints. 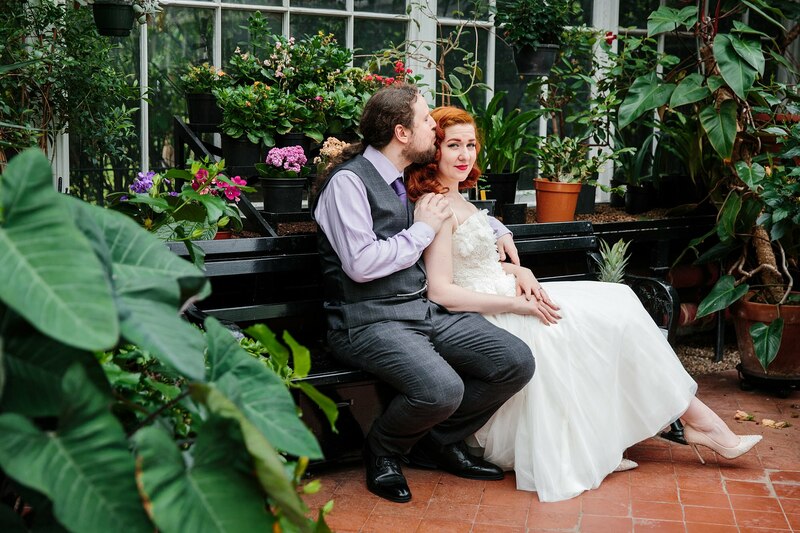 We were careful not to get in the way of any visiting members of the public, and had a lovely pre shoot lunch with my cat (begging for treats, as always) before spending some time wandering the conservatory. 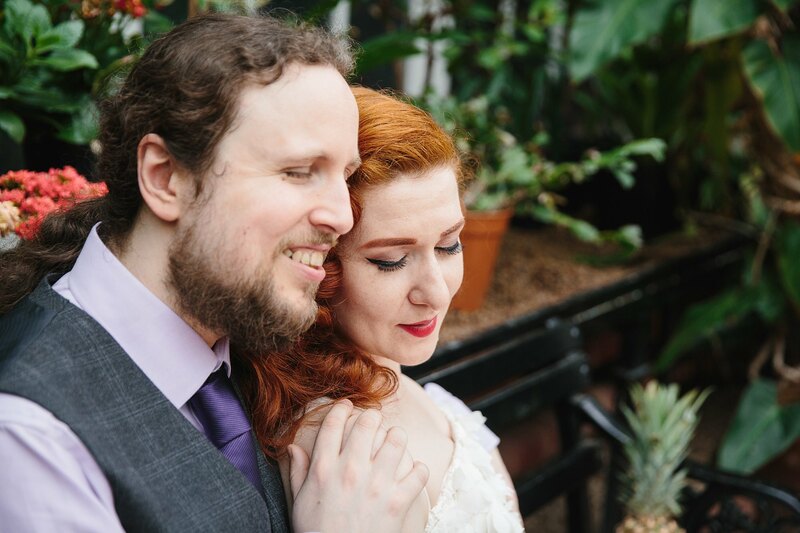 The fact that it’s pretty small made some some great intimate pictures too, and I’m so happy Kat and Liam were finally able to have a tropical wedding shoot to match their theme!